In the present day of shopping, customers prefer more time to stay at their home and thus order the grocery and other requirements for home delivery or many times they also tend to go through a shop’s online menu and other facilities available from their websites and then later go to buy only selected items and thus save on their time. Time is a crucial factor for everyday shopping, and people no longer want to waste it in useless roaming and to wander here and there for discounts and availability. 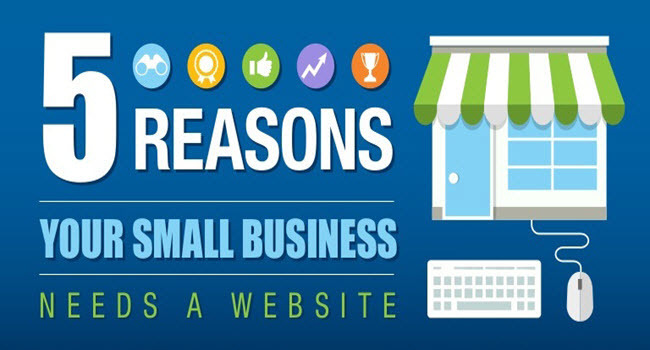 As a business owner, it is the high time to reconsider as what initially was thought that the websites are not for small businesses. But with the changing time and the current market requirements, the business which is more flexible is prospering more. And one such requirement of flexibility is in the business development. 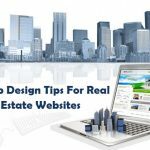 A website maintained by a professional is a big deal for small business, as it will cost some extra investment and capital, but ultimately it is going to pay off. The reasons to have a professional website for every business be it large scale or small are many. With the age of internet everyone is online and spends most of their time online, so having a website not only booms the sales but it also boosts the popularity among the peers of the customer. The advertisement becomes too much easier with the availability of a website. Assume that a certain customer wants to buy some good available in your shop, so according to traditional methods first he/she has to visit your shop once to get a price quotation and then depending on the market price for the same product and the price of your competitors he will take the decision to buy that particular product and in order to do all this will require some time but not everyone is ready nowadays to spare so much time on this. All they now do is compare it online and for you to stay in the competition with other business of your level you too need to be modernized and become flexible with time. Now to better understand this, let us study it by some reasons on why a website is so important for small businesses nowadays. This may be one of the most important reasons for having a website. As customers, these days prefer to stay online, and most of the things are sold and bought online, and with the boom of digitalization, everyone prefers to stay in the comfort of their home and take the market review and price comparison online. 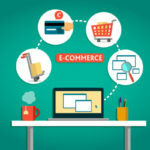 Almost all the businesses are now shifting online, and even your competitors too are turning online. So for you to stay in the competition and ultimately gain some popularity and customers, the website is a must. Having the competition in online does not simply mean that all the competitors have a website, but some already have and to be on safer side and stay in the market you to need to do the same in maybe some better way. Customers believe that having something on the internet gives it credibility and six out of the ten customers are this way. They prefer to have a market review on some social portals and even want the brand description. So as an owner, you cannot control the contents of a social portal but provide your own content which may best describe your brand and hence may be able to attract more customers than usual. The world is almost online 24 hours, but you cannot be available like this, but a website can be available for 24*7. So customers can access it at any time, and thus the business timing is extended which improves the business. Instead of the printed methods of publicity and promotions, having a website helps to fulfill multiple purposes. Assume that as a business owner you have got business cards, but they are vulnerable and have got the risk of being lost or damaged and hence the use of the business cards become very limited. In order to boost its productivity, a business website is a better option. As all the people have smart phones and thus they can access your contact details at any time of the day without any problem or inconvenience, and you can also be sure to accessible always. Having a business website will also help them get more details than what a business card can accommodate. The recommendation also becomes easier for the customers as they can directly refer your website or just even the business name and other people can find it using Google. Having a serious and dedicated attitude towards your customer will impart a clear message that you are confident about your product and business and hence the customers can believe in you. This is a very important factor during a business development and customer build up. 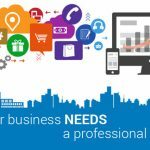 Without customer’s trust no business can flourish, and thus it becomes the basic necessity, and with a website, you can make this thing your strongest point and thus a professionally built website is also a boon for the small businesses. Having a website attracts more customers automatically. The website is pretty much like an advertisement also. Now take it this way, suppose that in order to promote and advertise your business you will choose some online as well as offline methods. In offline methods will involve some printed media and other stuff and also circulating them will cost you some extra penny. But the website is a very cheap method of advertisement and promotion. In other methods of advertisement once published you cannot make changes in the stuff, but you can design and edit website anytime you want. Plus with a website, you can send promotional emails to your potential customers and hence build a good customer base. Thus a business no matter, if it is a small one, will have a very good future if it has a website support on it. This can act as a good luck charm for your business. 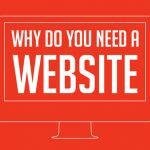 Apart from all the benefits and importance of having a business website, there are plenty of other ones too, but these are the most important and determining ones. As a customer, I can say that if I have a choice to choose between two shops between, one having a well professionally designed website and the other don’t have one. Then as a customer, I will first prefer to have a look at the first shop instead of the second one, and I hope this explains all the confusion in your mind.